The CEO launched Handshake on Monday, Oct. 22 at 11 a.m. in the Hamilton “Ham” Center, in coordination with the cafeteria’s re-opening after Fall Break renovations. For many New College students whose college careers are nearing the finish line, the question, “So, what are you doing after graduation?” is enough to incite instant panic. With Handshake, the Center for Engagement and Opportunity (CEO) hopes to help with this pre-graduation anxiety. 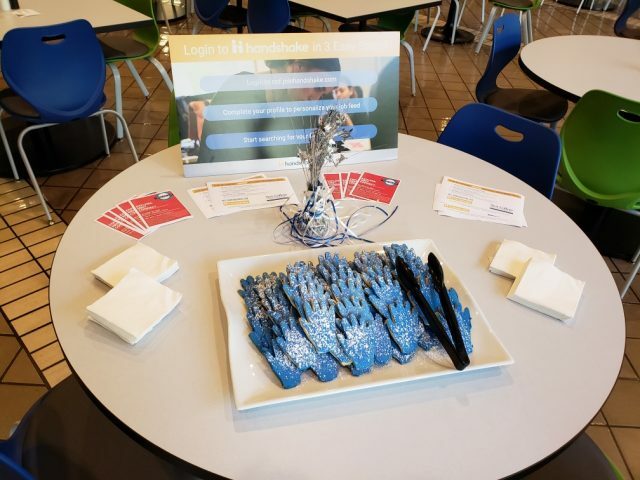 The CEO launched Handshake, a virtual career development and management program that connects students with employers, on Oct. 22 in coordination with the re-opening of Hamilton “Ham” Center after its Fall Break renovations. Handshake houses over 500 institutions nationally and offers local, national and global employment opportunities, according to Madeline Heath, assistant director of career technology and outreach at the CEO. “It’s the top system that higher education institutions are using to help connect their students and that career centers are utilizing,” Heath said. Handshake is changing the platform of where New College students go to find job opportunities and is much more “accessible and user-friendly,” according to Heath. She also reports that local employers are already familiar with Handshake, as University of South Florida Sarasota-Manatee (USF-SM) and State College of Florida (SCF) both use it. Gradually, Heath said, Handshake’s job listings and partnerships with employers will become more robust. Currently, Heath estimates the CEO has requests from over 400 employers, a number she said “is growing everyday.” Before partnering with an employer, the CEO conducts a vetting process to make sure it is a legitimate employer. The CEO sees Handshake as a valuable asset for all students, not just ones who are getting ready to graduate. To Heath, Handshake “connects the dots” between students, employers and the CEO. “Even if you’re unsure of what you want to go into, it’s still a great way to explore all of the opportunities that are out there and get started early on,” Heath said. And Heath made clear that Handshake is a resource not just for all current students, but alumni as well. The CEO is currently in the process of contacting the 2018 graduates to let them know about Handshake and will eventually focus on reaching out to all alums. 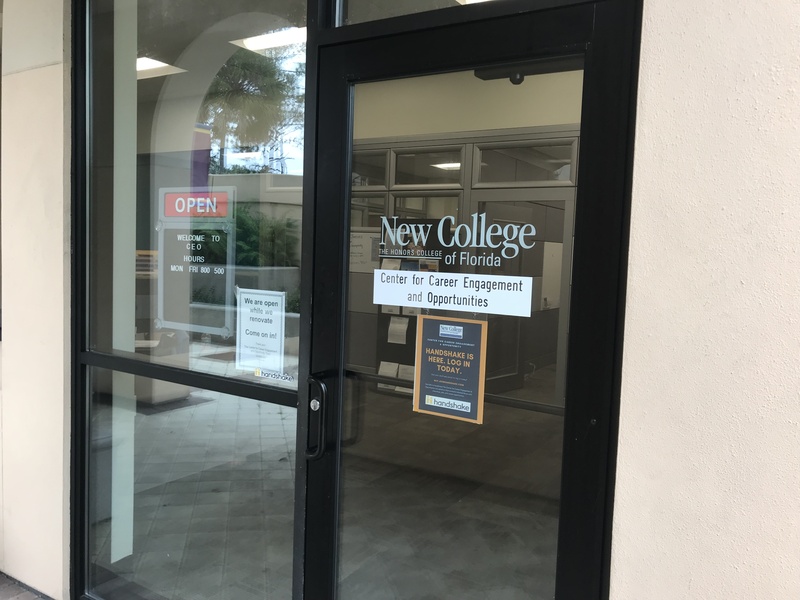 They have also been in contact with the New College Foundation alumni to discuss how they can connect with alums as employers through Handshake. 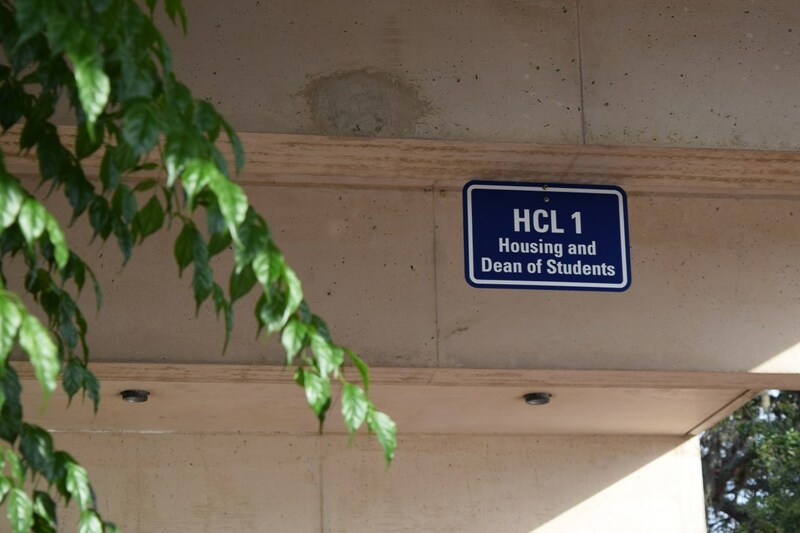 Aside from focusing on launching Handshake, the department has faced a recent succession of employees, as Assistant Director for Community Engagement Andrea Knies left the CEO in February 2018 and Acting Associate Director Michelle Flint left in July 2018. Kay-lynne Taylor was hired as Director of the CEO in the beginning of January 2018. Lisandra Jimenez was hired as Assistant Director of Career Readiness and Employability in August 2018. Heath began working at New College on Sept. 10. Prior to her employment at the CEO, she worked in the Admissions Department at USF-SM. Aside from continuing their usual work with career readiness, that includes help on resumes, grad school planning, internships and fellowships, a large part of the CEO’s focus has been rolling out Handshake. Perhaps most unique is the CEO’s vision for Handshake; they hope it will be something students use long after they graduate, to stay connected to the New College community.